We can supply you Led torch at very good price. - Roshni Heavy Duty 3AA Cell LED Handy Torch (Not included). - Strong ABS Plastic durable body. - Powerful imported 3 Watt LED. Our organization has set niche in offering Police Long Range LED Torch to our clients. 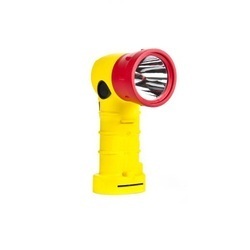 Police Long Range Torch operates is made by quality approved material. Offered range is remarkable for its long service life and is far and wide used. With 5 LED and 6SMD, which are super bright, long life energy saving. 1W LED Torch Light.Brand name "Scorpio".This is Indian made 1w LED torch lights. Your favorite Sun sumo range of products just got better. With highly enduring inner components and eye-catchy designs, Sparx is the latest inclusion in Sun sumo's range of high performance, enhancing its variety to bigger horizons. We manufacture and supply our valuable range of LED torches with adapter charging. These LED torches are manufactured as per international quality standards and offered in attractive design and colors.